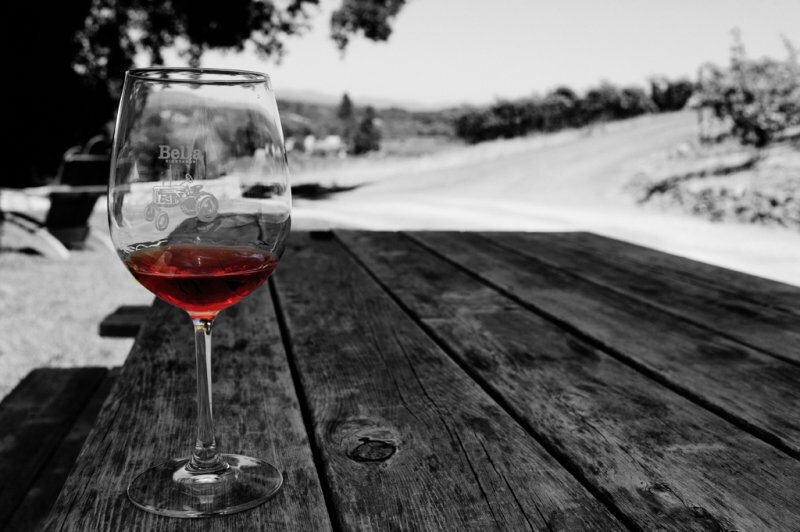 Posted on September 4, 2013 by Aliye M.
This past weekend my parents and I decided to do a little local wine tasting. After scrapping our initial plan of spending two plus hours in the car to head to Sonoma we decided to visit some local Santa Cruz Mountain wineries. Obviously we are a family that enjoys wine and we like to support local businesses so this was the perfect opportunity to indulge in both. Our first planned stop was Ridge Vineyards. One of the largest and most well know Santa Cruz Mountain wineries Ridge is know for big bold red wine. Again, for those who know us, an obvious choice in our household. And one we have often enjoyed. In fact at a family birthday fete on Saturday my parents opened two different large format bottles of Ridge Zinfandel. With a tasting room buried in the picturesque Santa Cruz Mountains we decided to make this our first stop. And we (ie the parents) had plans to buy. After a windy, twisty, stomach-churning long drive to reach the Montebello location we were informed by a rather snotty attendant that the tasting room was closed for a wine club event and that we should have checked the website before making the drive. ON A HOLIDAY WEEKEND. Yes they chose to close their tasting room on a holiday weekend. Since then I have investigated the website and see no mention of upcoming events or even tasting room closures. Anywhere. And more importantly why was a sign not placed at the bottom of the hill before we waisted our time driving to the top. I understand that club members are always a winery’s priority. They are typically your best customers and your best advertising. And wine club events are a great way to keep people engaged, interested and up-to-date. Ridge should absolutely be celebrating their club membership and providing them with unique opportunities. However, not at the expense of other potential customers. Hold events after hours. Or at least have the courtesy to give people a little more advanced notice (ie the sign at the bottom of the road). All in all that day Ridge was ultimately the one who suffered. We went on to visit two other local wineries – Cooper-Garrod and Savanah-Chanelle – where we bought not only lots wine but craft products sold in the tasting room. So my advice to Ridge Vineyards: you might want to work on your customer service skills. This entry was posted in Uncategorized and tagged customer service, Ridge Vineyards, santa cruz mountain wineries, wine club, wine tasting by Aliye M.. Bookmark the permalink. Will make a mental note to not visit that winery when we hit Santa Cruz…maybe you all should’ve hit Napa-Sonoma instead. 😉 It’s local. It’s Bay Area.